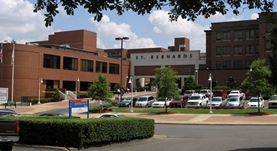 Dr. Ezekiel Shotts is a radiology specialist located in Jonesboro, Arkansas and he works for St. Bernards Medical Center. He received his diploma from the University of Arkansas for Medical Sciences College of Medicine and did his residency in Radiology at Mayo School of Graduate Medical Education where he also completed his fellowship in Musculoskeletal Imaging. The doctor is certified in Diagnostic Radiology and has almost 10 years of practice. Dr. Ezekiel Shotts has contributed to 3 publications. Intra-articular pathology associated with isolated posterior cruciate ligament injury on MRI. Ringler MD, Shotts EE, Collins MS, Howe BM; Skeletal Radiol. 2016 Dec.
2 citations Detection of human papillomavirus type 16-specific T lymphocytes by a recombinant vaccinia virus-based enzyme-linked immunospot assay. Kim KH Greenfield W Shotts E Nakagawa M; Clin Vaccine Immunol. 2007 Apr . 3 citations Nicotine alters nicotinic receptor subunit levels differently in developing Mammalian sympathetic neurons. Srivatsan, M., Treece, J., Shotts, E.E. ; Ann N Y Acad Sci. 2006 Aug.